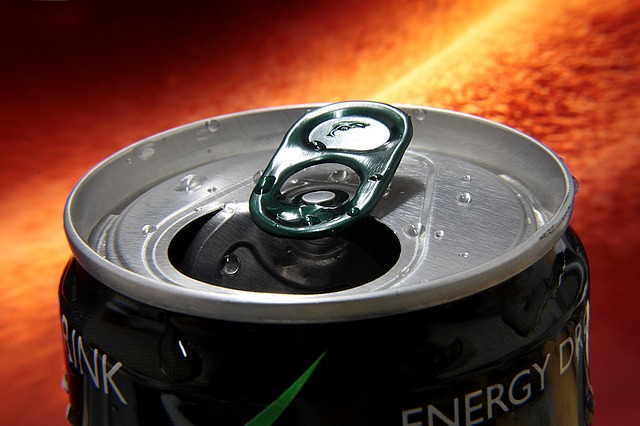 You need a boost late in the day but know energy drinks aren’t good for you. What about alternatives to energy drinks? There’s got to be some. And while we’re at it, how about looking for healthier options. In this article, that’s what we set out to do. We find what foods or drinks help boost energy. This way we can avoid the unhealthy ingredients and additives most energy drinks contain. Probably the most obvious one. Coffee gives us that instant boost so you can take on whatever’s ahead of you. Depending on how much coffee your drink however, it can be both good and bad. This is thanks to caffeine. Caffeine is what makes coffee a stimulant. It is also what causes a lot of the negative effects of drinking too much of the beverage. Moderate coffee drinking has been shown to have its benefits, including prolong life. Too much coffee meanwhile, increases stress and can upset your stomach, cause diarrhea and affect your health. Not a coffee drinker? How about tea. 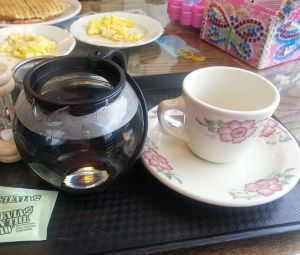 Tea is a healthier alternative to coffee because it doesn’t contain as much caffeine. Plus, it’s loaded with antioxidants that prevent age-related diseases and cancer. Unlike coffee or energy drinks, tea doesn’t have that negative after effect. Research suggests that the presents of an amino acid in tea, called L-theanine, is responsible for preventing tea’s caffeine content from causing overstimulation. If you’re working out or into physical activity, making sure you get enough water is crucial. It not only gives you energy, but more importantly prevents dehydration. The adult human body is around 60% water. This means that most of our body’s functions occur in water. When we start getting dehydrated, the lack of water slows down the metabolic reactions. This is when we start feeling tired. Drinking water, or getting it from certain foods like fruits and vegetables helps replenish our water reserves, keeping us hydrated. Ask any elite athlete and they’ll tell you that they get their carbs before any competition or event. Carbohydrates are what the body uses for energy. It converts the carbs we eat from for to glucose which in turn the body transforms to energy it can use. The one caveat with carbs it you make eat too much of it. Doing so may give you that energy in the beginning. But after a while you’ll experience a crash or probably want to sleep. A good option would be to eat complex carbohydrates like whole grains and oats. These foods not only give you energy and promote alertness, but they also allow sugar to be released more slowly into the system, preventing blood sugar spikes. 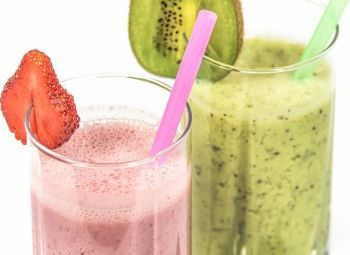 Smoothies are one of the healthiest things you can drink. That is, as long as you don’t add junk food in it. I know some people who load their healthy smoothies with sugar or syrup. That pretty much defeats their purpose. Green smoothies are especially great if you want an instant boost of energy. Vitamin B which is one of the ingredients you’ll often find in energy drinks is abundant in green leafy vegetables. Kale, spinach and collards are just a few green veggies loaded with vitamin B. Vitamin B is used by our body for proper metabolism. This helps create energy from food to fuel your body. High quality protein, whether you get it from poultry, lean beef, fish or a protein shake is another great alternative to energy drinks. When the body doesn’t have enough protein, we start feeling sluggish and tired. Getting enough protein from meals or a powder supplement ensures your body meets the sufficient requirement. To make protein more effective, take some carbs with your protein. Carbohydrates allow the body to turn protein into energy so you can keep going. Everyone can benefit from extra sleep time. Taking a power nap mid-day gives you an instant boost of energy for the rest of the day. Making sure you get to bed earlier in the evening helps you wake up more refreshed as well. According to the National Sleep Foundation, adults need between 7 to 9 hours of sleep nightly. Teens need an extra hour more at 8 to 10 hours, while school aged kids should get 9 to 11 hours. However, according to the National Institutes of Health (NIH), adults get 7 or less hours of sleep nightly. If you happen to be one of the lucky 3% who have that gene that lets you do well on 6 or less hours of sleep then good for you. But for the rest of us 97%, 7 to 9 hours of sleep is needed to prevent sleep deprivation in the long run. 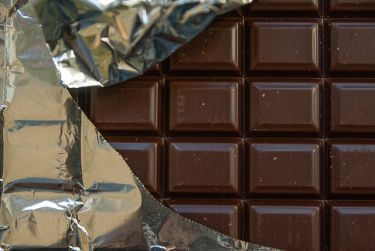 Chocolates are often considered unhealthy foods. However, choosing the right kind of chocolate and eating in moderation has its benefits. Aside from being so decadently delicious, chocolate contains flavonoids that boost brain activity as well as energy. When going for chocolate, go for the dark ones. Dark chocolate has 70% or more cocoa. These are healthier and contain more antioxidants. Research also found that compounds in cocoa help boost blood flow which makes us feel more energy. 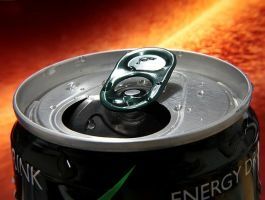 Now that you know there are healthier alternatives to energy drinks, there’s no need to reach out for that Red Bull each time you feel like you’re running out of fuel. Stock up of better choices that will keep your energy levels up all day.